Cute-faced English celebrity chef, restaurateur, and media personality Jamie Oliver is at the forefront of a Food Revolution. Oliver is combining his culinary know-how with serious community activism to put compulsory practical food education on the school curriculum. 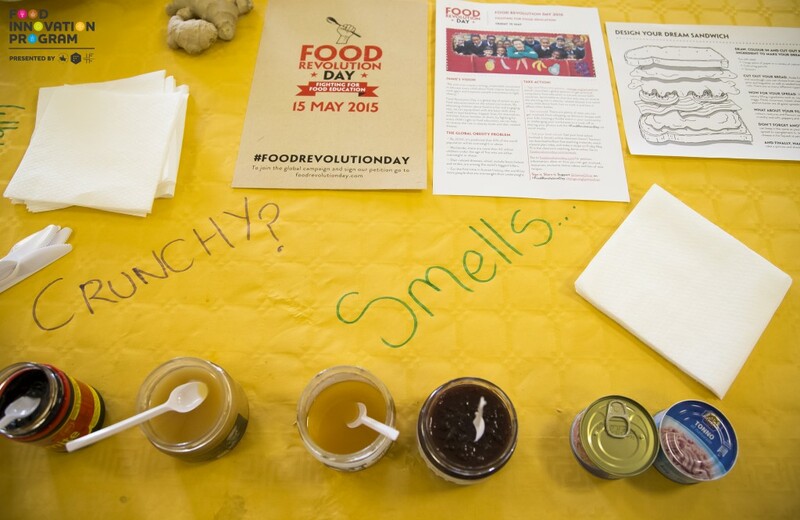 “By educating children in a fun and engaging way, we can equip them with the basic skills they need to lead healthier, happier lives, for themselves and their future families,” says Oliver on the Food Revolution Day website. Anyone is invited to host a Food Revolution Day activity, which may consist of a potluck dinner, leading a farmers market tour, planting a community garden or hosting a cooking class. 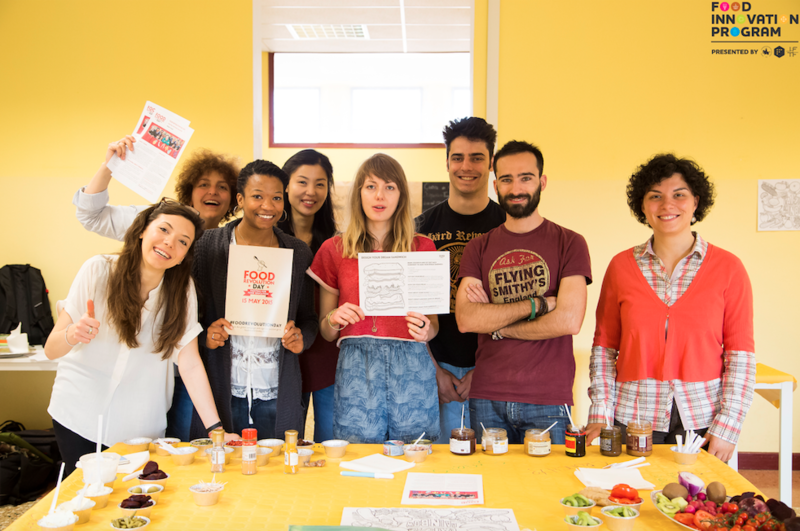 As big Oliver fans and strong believers in the idea that every child needs to understand where their food comes from and how to cook it, the Food Innovation Program joined Food Revolution Day by hosting two sandwich-making workshops, one in Bologna’s Kinder College and the other in our Officucina in Reggio Emilia. 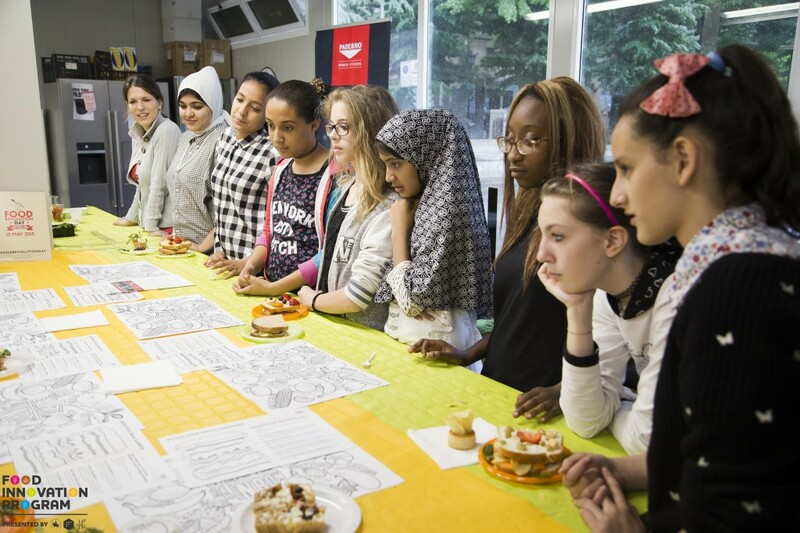 “Our goal was to get children to explore and create with food. 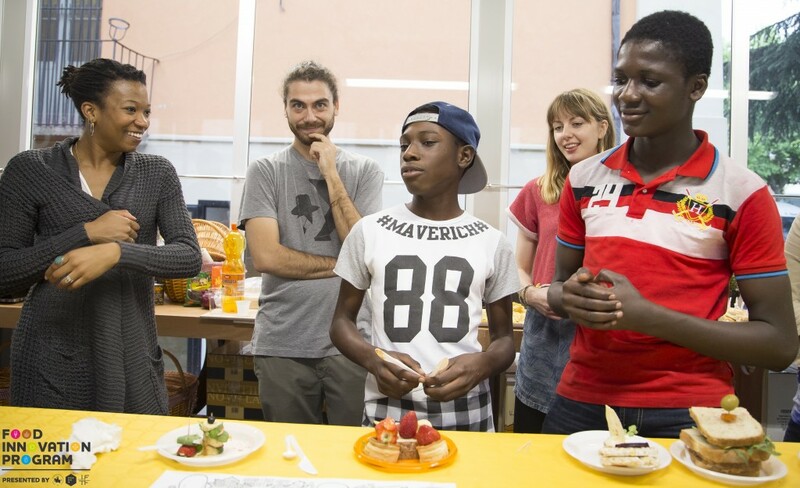 Not to be influenced by us adults but to produce something totally from them,” says Alice, an FIP student who helped to organize and run the activities. 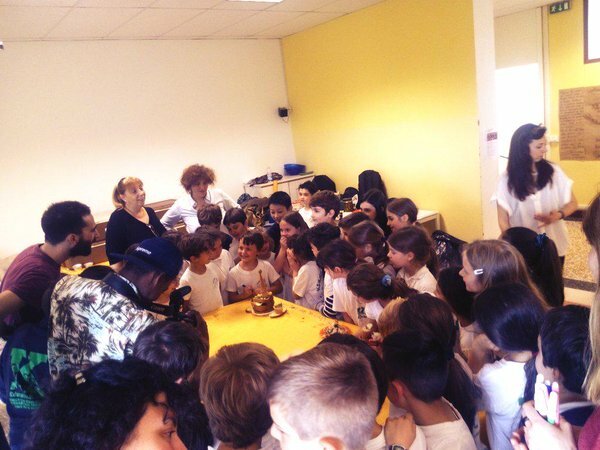 On the morning of May 15th, a select group of students and staff went to Kinder College and asked 2nd and 4th year primary school kids “who were balls of energy and excitement,” notes Alice, to create a ‘Panino del Mondo’. Alice recounts, “We encouraged them to discover the ingredients by touching, tasting and smelling. They then got into small groups and made one sandwich together. The results were amazing. Incredible gravity defying structures and the most bizarre flavour combinations including tuna, strawberries and peanut butter.” After the children had created their masterpieces they were invited to recount the story behind their dish as well as name it. “My team were a group of boys, and the name of their final sandwich was Tower of Sandwiches,” she says. 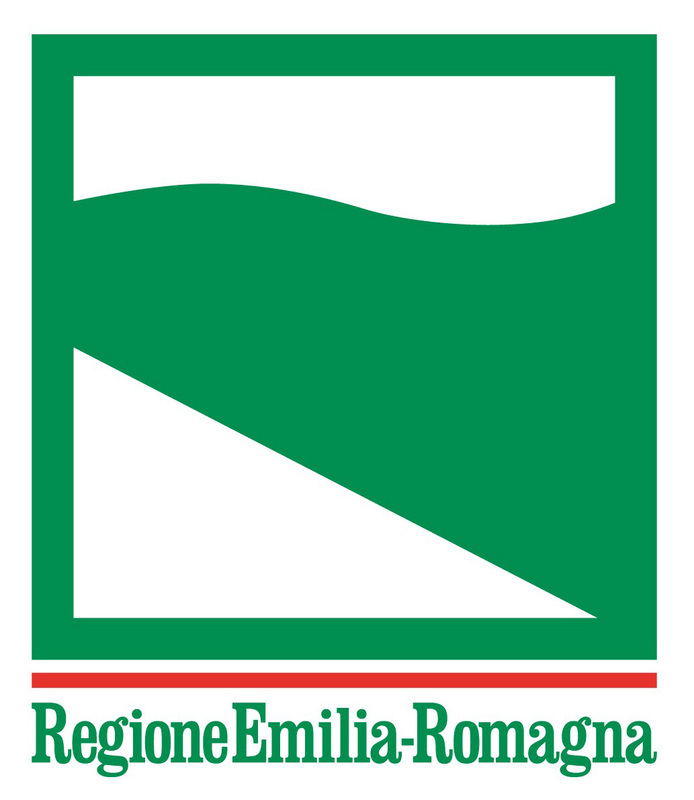 In the afternoon the FIP team were back in Officucina with the next group of students, who were from the Reggio Emilia city-run after school program, GET Madres (Gruppi Educativi Territoriali). Although a bit reluctant, it was fun to watch these young adults slowly warm up to the idea of developing their own sandwhich, and finally giving their “cool” approval, which can alway be a challenge with teenagers. 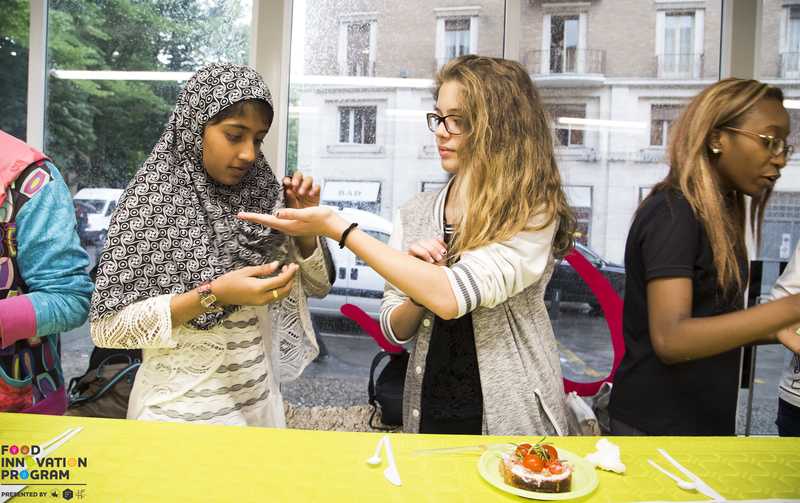 “With age comes know-how and these teens knew how to put a respectable sandwich together. 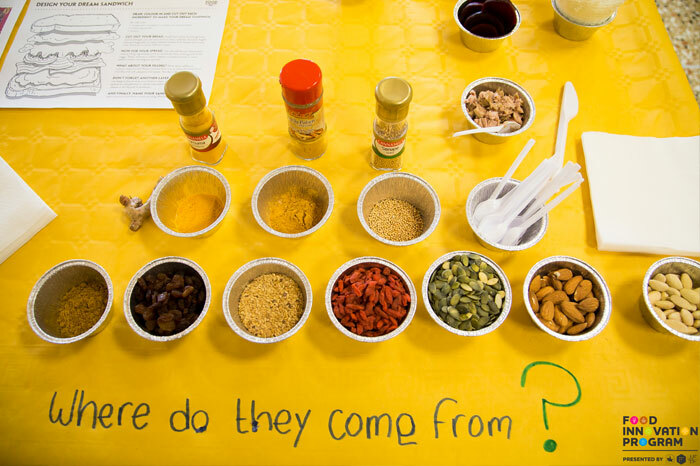 They considered their flavour combinations much more, and the table stayed a lot cleaner than it had in the school with the kids,” says Alice. Conversations on ingredients and their origin were hosted, which was very interesting for such a multicultural group as certain food products were familiar for some, yet unknown by others.